The internet and social media have completely transformed the marketing approach that movie studios (and anyone else, for that matter) take in order to create buzz for their products. Think back to the 90s and how you used to learn of a film. You may have fond memories of blurry trailers with inconsistent audio. Now that audio and video reach audiences in pristine form, platforms such as Facebook, YouTube, Snapchat, and Twitter have become some of the go-to places to market films. Part of the reasoning for that is the surge in smartphone users in the last 10 years. Last week, a new teaser trailer for Cars 3 was released and judging by the number of views it garnered, there were plenty of viewers interested in seeing what another addition to the Cars franchise would look like. Cars 3, which is being directed by Brian Fee (storyboard artist on the previous two Cars films), racked up over 40 million views on YouTube last week. The data comes from the first Top Movie Trailers Chart at The Hollywood Reporter. 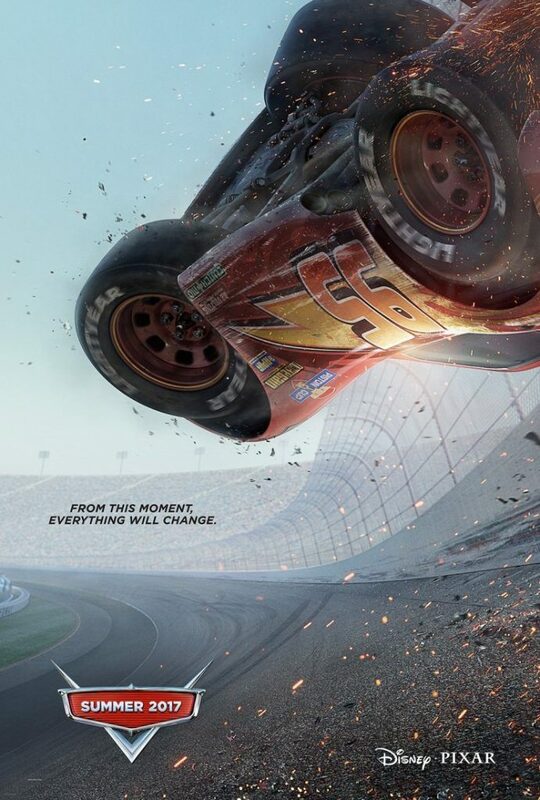 Forty million was enough to catapult the Cars 3 teaser to the number one spot, beating out other films such as Kong: Skull Island and Beauty and the Beast. Of course, some trailers that made it into the top 10 are older than a week, so it is no surprise to see a new trailer claim the top position. Still, there is never a guarantee that a teaser will be a hit. Most importantly, trailer views do not equal success. Whether you want to speak to how well a trailer represents a film or its quality or the idea that online buzz is not necessarily enough to fill seats in a theater, a teaser for a film getting tens of millions of views does not mean much. We can infer that people online are interested in seeing what a third Cars film will look like. From the poster and the teaser, it seems that a grittier approach may be in order. Actually, remember what I wrote about trailers not always representing a film well? The purpose of a teaser is to market a film to increase interest in it. We will have to wait and see exactly what Cars 3 will be when it arrives in U.S. theaters on June 16th, 2017.